Kelvin was so sorry to hear about Gladys. Its not easy losing a loved one. It gets easier with time and keeping her memories alive. Thinking of you in your time of sorrow. Kelvin, please accept our condolences. 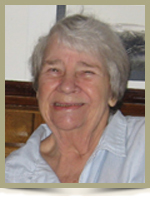 Gladys was a wonderful person to meet out and about, with her friendly smile. You are very lucky to have had so many good years together. She will be missed, may your memories give you comfort in the coming days. Kelvin, on behalf of my co-workers at Home Hardware, I want you to know how sad we are to hear of Gladys’ passing. We all adored her, she was a wonderful lady. We always looked forward to seeing the two of you come in to our store, you were both two of our favorite people. Take care, our thoughts are with you during this difficult time. I am going to miss you so so much.. You were an amazing woman of Honesty, Integrity and Wisdom. You gave me something I had never had and that was a mother…..You were my mother in law , mother and friend and I will Cherish that forever. Kelvin, I am so sorry for your loss, she was a wonderful wife and friend to you for 42 years……..
Jason Walker my son…her grandson…she loved you so much…..
Gladys will be missed by so many people all over. I miss and love you Gladys………. Kelvin, I’m so sorry for your loss. I never had a chance to meet Gladys but the stories shared by Jason and Dawn told a wonderful story of living life to the fullest with many adventures and plenty of laughs. My thoughts are with you at this time. Jason, I’m so sorry to hear about Gran. You have many fond memories of her that will forever be held dear in your heart. My thoughts and love are with you. Kelvin, please accept our condolences on the loss of your beloved Gladys. When Art introduced us to you both in Toronto you made us feel welcome and it was so nice when you were able to follow your dream and move to NS. Sending our warmest thoughts for you. Was sadden to hear of Glady’s passing she was such a kind soul and a true animal lover her cat’s meant the world to her . Her memories will be with you and of course her beloved cats. She will be missed by many many people, especially us her Family. Dear Kelvin & Jason…I was shocked to see that Gladys had passed away. Gladys was a sweetheart and was loved by everyone (including her cats). I first met her during one of her visits to Liverpool with Art and of course I enjoyed the visits that I made to your home in Toronto. I can’t even put into words how sad I am that Gladys has passed away. Please know that you are both in my thoughts at this time. DEAR KELVIN AND FAMILY. WE WERE SO SAD TO HEAR ABOUT GLADYS. DID NOT REALIZE HOW SICK SHE WAS, UNTIL A DAY OR SO BEFORE HER PASSING, SINCE WE MOVED AWAY.WE REMEMBER THE HAPPY TIMES WITH YOU BOTH AND ARTHUR AND SO HAPPY WHEN YOU MOVED TO LIVERPOOL AND BOUGHT THE HOME ON BRUNSWICK ST.ALWAYS HAPPY TO SEE YOU BOTH AT LIZ`S FAMILY GATHERING ONCE A YEAR. WILL MISS HER DEARLY, BUT NOW IN THE ARMS OF THE ANGELS AND FREE OF ALL PAIN. KNOW JASON IS FEELING THE PAIN OF HER LOSS ALSO AS SHE LOVED HIM WITH ALL HER HEART. TAKE CARE KELVIN. LOVE YOU MERNA AND ANDERS. So sorry for your loss. Gladys had such a big Smile, one that I wont forget. I will miss her chats and hugs which we shared when she would come in to the store. My thoughts are with you at this sad time. So glad I got to visit with her last. Just want to tell you how sad Bev and I are to hear of Gladys passing.We loved to see you both at Transscotia .We will be for ever blessed by knowing her. Dee Veinot / Bev Croft. Kelvin Both Brittany and myself are so very sorry for your loss. So sorry to learn of your loss. Gladys was a very special person. in PARADISE. Our prayers are with you. Visits from you and your wife were one of the highlights I can say I had the pleasure to experience at my job at the Pharmachoice pharmacy. You two always made my day better. Gladys was a wonderful person. Liverpool will not be the same without her. Thinking of you Kelvin at this time with deepest sympathy for your sad loss. Dear Kelvin, I am so sad to hear of Gladys passing. She was such a wonderful woman and will be missed by so many. Thinking of you at this difficult time. My condolences go out to the family friends of the wonderful Gladys. I met her through my mother Jackie Jones who became friends in the local area. A wonderful person and loving wife to the brilliant Kelvin. Thanks for acting like a mum to my mum, be at peace. Dear Kilvin, we are so sorry and shocked to hear of Glady’s passing. God Bless you and keep strong as this time. We will see you soon. My deepest prayers and thoughts go out to Kelvin and Mary’s family at this sad time..